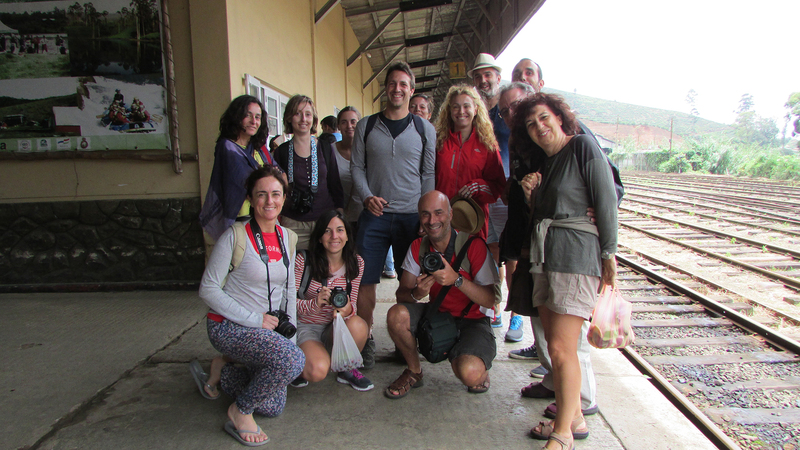 Intensive marketing of Sri Lanka as an ideal destination for nature and adventures tours by Aitken Spence Travels has attracted a leading specialized tour operator from Spain to send two tourist groups to Sri Lanka this month. The groups’ tours in Sri Lanka were handled by Aitken Spence Travels, Sri Lanka’s leading destination management company. Diversified blue chip conglomerate Aitken Spence PLC’s financial results released to the Colombo Stock Exchange reported a pre-tax profit of Rs 732 mn for the first quarter, while Group’s profit attributable to shareholders of the parent was Rs. 420 mn. Reported revenue for the first quarter was Rs. 5.9 bn, whilst earnings per share for the quarter stood at Rs. 1.04. The 100 MW Ace Power Embilipitiya ceased operations in April 2015 subsequent to the conclusion of the 10-year power purchase agreement with the Ceylon Electricity Board. The corresponding results for the previous year included the profits from the full operation of the Embilipitiya power plant and insurance proceeds received for the damaged water villas at one of its resorts in the Maldives. “Although we were keen to contribute to the stability and capacity of the National Grid, in line with the growing energy requirement in the country, the authorities did not use the opportunity to secure guaranteed power at a reasonable cost by failing to negotiate a mutually favourable agreement to generate power, from our plant in Embilipitiya”, said J M S Brito, Deputy Chairman and Managing Director of Aitken Spence PLC. “Aitken Spence has several large resort construction projects taking place in Negombo, Kalutara and Ahungalla that are expected to add around 750 rooms to Sri Lanka’s tourism sector. The construction of the Heritance Negombo and the expansion of The Sands in Kalutara are expected to be completed within the financial year, despite delays. The construction of the RIU Hotel in Ahungalla is expected to be completed in the winter of 2016. Turyaa Chennai, the 143-room city property is awaiting a few regulatory licenses to commence commercial operations”, he added. The Tourism sector reported Rs. 435 mn as pre-tax profits for the quarter. The sector revenue for the quarter was Rs. 3.55 bn. The hotel industry in the Maldives felt the negative effects of key source markets with arrivals from Russia falling by 40 per cent and the Korean market showing a significant drop, during the first financial quarter. Aitken Spence, which has several resorts in the islands, has been adjusting to changing market conditions in the Maldives with several key source markets to Maldives facing downturns. Maritime and Logistics sector performed well, reporting Rs. 214 mn with pre-tax profits, while revenue was Rs. 1.85 bn. Revenue from the Strategic Investments sector without accounting for the contribution from the Embilipitiya power plant was Rs. 1.29 bn while profits before tax was Rs. 86 mn. Reported figures showed revenue at Rs. 1.47 bn and profits before tax at Rs. 23 mn. Services sector of Aitken Spence performed commendably with a profit-before-tax of Rs. 60 mn and revenue at Rs. 277 mn.